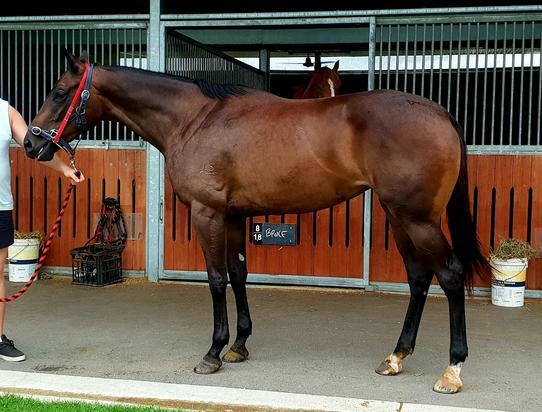 BETTER THAN READY (AUS) (Bay or Brown 2009-Stud 2015). 8 wins-1 at 2-to 1200m, $484,875, ATC Brian Crowley S., L. Out of a half-sister to SW Publishing. Sire of 31 rnrs, 14 wnrs, inc. SW Better Reflection (BRC Calaway Gal S., L), The Odyssey and of Betaima, Girls are Ready, Well Prepared, Arnwood, Bettahoney, Hezhome, Bluey's Ready, Lepreezy, Redeski, Secondofmay, The Sinner, Tiger Love and of the placegetters Nobody Better, Raging Pole, etc. His oldest progeny are 2YOs. Wells (g. by Galileo). Champion Jumper in Australia in 2016-17. 13 wins from 2000m to 4500m, A$1,159,522, to 2017-18, MRC Grand National S/chase, Crisp S/chase, Ballarat TC Grand National S/chase-twice, Bendigo JC Mosstrooper S/chase-twice, Warrnambool RC Kevin Lafferty Hurdle, MVRC Become a Member H., 2d VRC Andrew Ramsden S., L, MRC Australian S/chase, Bendigo JC Brendan Drechsler Hurdle-twice, 3d VRC Banjo Paterson Series Final H., Momentum Energy Smilepower H., Wimmera & Murray Mallee H., MRC Grand National Hurdle, Warrnambool RC Kevin Lafferty Hurdle, Bendigo JC Mosstrooper S/chase. Embracing (g. by Elusive Quality). 10 wins to 1400m, A$115,150, BRC Arjo Huntleigh Bed Race H., QTC Hot 91 H., 3d BTC Nuturf H., BRC The Arcade Creative H.
Credit Card Miss. 5 wins to 1300m, A$97,675, 3d ATC TAB Rewards H.
Zen Mistress. Winner at 1000m in Aust. Our Redeemer. Winner at 2100m in Aust. Soul Glo. Winner at 1100m in Aust. Viva Encosta (f. by Encosta de Lago). 2 wins at 1200m, 1300m in Korea. Like You Look (g. by Lookin at Lucky). Placed to 2018-19 in Aust. ALLEZ SUEZ (Canny Lad). 5 wins from 1200m to 1600m, A$614,850, AJC Epsom H., Gr.1, Matador Bullbars H., City Tatt's RC Club H., QTC Pacific Prince H., GCTC Carbine Club Flying H., 2d Newcastle JC Cameron H., L, 3d STC Tulloch S., Gr.2, AJC Show County H., L, STC Idle Words H., 4th AJC Queen Elizabeth S., Gr.1, GCTC AD Hollindale S., Gr.2, NSW Tatt's RC Tramway H., Gr.3. Embraceable You (Rodrigo de Triano). 2 wins. See above. Symphony in Cee. 3 wins from 1100m to 1900m, STC Schweppervescence H.
FELENIC (Cape Cross). 2 wins at 1600m, 2000m, CJC Warstep S., L, 2d CJC Christchurch Casino Southern Summer Challenge. Producer. ATACAMA (Pentire). 7 wins from 1400m to 1800m, NZ$154,320, A$91,500, VRC James Boag's Premium S., L, 2d Waikato RC Cal Isuzu S., Gr.2, 3d ARC Westbury Classic, Gr.3, Counties Cup, Gr.3. COUTET (Nuage d'Or). 6 wins. See above. SPACECRAFT (Star Way). 10 wins-1 at 2-from 1200m to 1600m, A$214,925, VRC Debonair S., L, Kilmore Cup, L, VRC Family of Man Welter H., 2d QTC Weller Hotels H., L, 3d VRC Australian Guineas, Gr.1, Criterion H., L, VATC Caulfield Autumn Classic S., L.
Avise (Canny Lad). Winner at 1300m, AJC IGA H., 2d NSW Tatt's RC Ming Dynasty H., Gr.3. Flying Pearl (Rare Pearl). 7 wins-1 at 2-to 1200m, A$102,300, VATC GH Davey H., QTC Balmerino Welter H., MVRC Somerton H., 3d BATC LJ Williams H., L.